Feeling anxious, tense, or unable to sleep? Louisville Acupuncture Clinic – Are You Ready for a Change? You’re likely here right now because you’re ready to experience greater physical or emotional health. Maybe you struggle with chronic aches and pains, you’re finding it difficult to turn your mind off and deeply relax in your life, or your metabolism just isn’t what it used to be. Maybe you could use more energy, joy, and balance in your daily life. If you’re like many of our patients, you’re seeking an alternative or complement to conventional medicine. You want to get to the root cause of your health problems– not just put a temporary bandage on them. Perhaps Western medicine hasn’t been the answer for you. 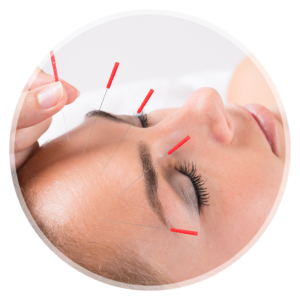 Our acupuncture practice has helped many people just like you. We understand that health is so much more than the absence of disease. Your health is the most precious asset you have. There is nothing more important than getting proactive about your health, investing in your well-being, and choosing a lifestyle that fosters longevity and vitality. Our mission at Common Ground Wellness and Louisville Acupuncture Clinic is to provide compassionate and effective holistic healthcare. We offer customized treatments as well as patient education and empowerment backed by years of experience in complementary and alternative medicine modalities. Are you ready to feel better and take your health to the next level? Great! We are here to help. What are moxibustion, cupping, and herbal formulas? I found Shelby after months of struggling to improve my health. When traditional medicine has not offered real solutions, Shelby has. I am sleeping peacefully after years of insomnia. My energy levels are getting better every week and I am finally hopeful that I can get back to enjoying activities that add fun to life. Shelby offers professional compassion and natural health solutions that heal, allowing life to flow naturally as God designed. Shelby is wonderful! I went for my seasonal allergies and could not have been happier with the results! My symptoms were practically gone and I actually enjoyed spring! Shelby is a great acupuncturist and a genuinely good person. She is easy to talk to and you can tell immediately that she really cares for her patients. Not all acupuncturist are the same some are bad, while others are good, Shelby is great. Anyone that doesn’t partake in her sessions miss out on all of the extra knowledge and training that she possesses. Her sessions aren’t just acupuncture it’s much more that encompasses spiritual healing and all culminates into a unique experience.